2. What is the story behind Mothers' Milk Bank of Mississippi? 3. 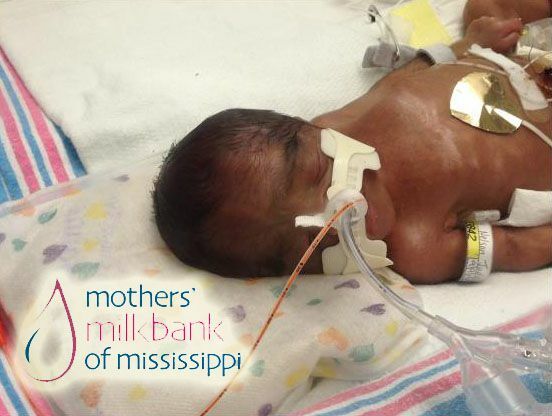 How many moms have been impacted by the Mothers' Milk Bank of Mississippi? As donors, we have approved over 200 moms over the past two years. As moms of recipient babies, we don't have a real number. However, so far this year, we have dispensed 26,273 oz. 4. Hi, my name is Quentin Ku Nelson and this is my story. I was born at 25 weeks, weighing 2lbs and 13” long (pictured above). I had a very difficult birth and my mom remembered the nurse calling her and my dad to the NICU about 4 hours after I was born and told her that they were on their last ditch effort to save me and that she needed to prepare to come down (she said those were the nurse’s exact words). When her and my dad came down, the doctors told them that I was having difficulties breathing and that the respirator machine I was on was not helping me. The doctors had to “bag” me about five times within three hours because I had stopped breathing even on the respirator. They were going to try one last thing, an oscillator with some nitrogen and prayerfully it would work. The doctor also said that it was very important for my mother to pump because breast milk can work miracle for babies. The doctor stressed to my mom that she needed to pump as much as she can because I needed breast milk and to pray as much as she can because as doctors, they could only do so much, but God can do the ultimate healing. My mother tried and tried and finally after a week, she was able to pump just a little breast milk. During that time, my mom and dad were told that I was in very critical condition. 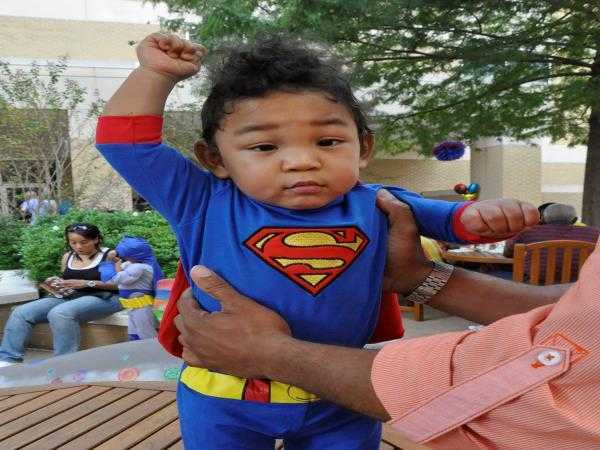 I had all the concerns of a premature baby, but more critical because of my prematurity at begin born at 25 weeks. I had very premature lungs, and I was diagnosed with Respiratory Distress Syndrome (RDS). Because of my premature lungs, I had a very difficult time breathing, so the doctors continued me on the oscillator machine with some nitrogen, which is a little more advanced than a respirator because I needed that extra help. I also had apnea and bradycardia, meaning all through the day and night, I would stop breathing for a while and/or my heart rate would drop. Not only that, I had stage 3 intraventricular hemorrhage (IVH), bleeding in the brain, and stage 3 is one level below the most severe brain bleed which is stage 4. With all of that, I also had patent ductus arteriosus (PDA), a hole in my heart, and I had several bouts with jaundice. As you can see, I was a very sick baby and my mom tried to help me as much as she could but she was not able to produce enough breast milk for me so the doctors and the nurses told her about donor milk. They gave her a lot of information and told her that since she could not produce breast milk anymore, then donor milk would be a good option. My mother said yes, and I started receiving donor milk at 29 weeks. I had some good days and some bad days… my hole in my heart eventually closed; my brain bleed slowly dissolved; I finally moved to a regular respirator machine after 36 days on the oscillator; and I continued to have apnea and bradycardia, which in the NICU they called “spells”; however, I never had any problems with my stomach or digestive system, and the doctors and nurses were really surprised because most preemies have issues with their stomachs. The doctors told my mom that I would probably be placed on formula at 32 weeks but I continued on donor milk until 36 weeks because the doctors said that it would increase my chances of being healthy. During that time, I was getting stronger and stronger and the only issue I was having was my apnea and bradycardia. On day 70 in the NICU, I received my first round of formula and I did great! Two days after Thanksgiving, I had to have surgery to remove two inguinal hernias, but I pulled through just fine and finally on day 92, I was able to breath on my own with no respirator or tubes. I continued to have my “spells” and my mom and dad were disappointed that I didn’t come home before Christmas because I failed my car seat test (I tried, I really did try to pass); so I spent my first Christmas in the NICU. But the day after Christmas, I was finally able to come home with doctors orders to be placed on the apnea machine. I only stayed on the apnea machine for about three weeks, and the only problem I had was acid reflux, which the doctors said was normal in all babies. I continued to get stronger day by day and I amazed my doctors at every appointment. I caught my first cold and ear infection in mid-April, but I have been well every since. In May at my second newborn follow-up, the doctor was so amazed at how well I was doing. She said that my skin was even perfect and asked if I had breast milk. My mom told her that I had donor milk and she was just in awe of how well I was doing and developing…I had no complications so far. In June, I took my first plan ride to Washington, D.C. and New York and I did really well…I slept the entire plane ride going and coming! In July, I went to the coast and was able to play in the sand, which felt funny to my feet. I was able to do all of that because I received donor milk. My mom called donor milk “Miracle in a bottle,” and she believed that donor milk saved my life. I celebrated my first birthday last month, and I owe it all to donor milk. As Mother’s Milk Bank of Mississippi would say, “every ounce counts,” and I am a witness to that! As November approaches and we think about Thanksgiving, I want to say thank you to all the moms that donated their breast milk. You gave me a fighting chance, and I am here today, crawling around, climbing into cabinets, and jumping in beds because of you. Thank you for giving me your milk, thank you for your miracles in the bottle. 5. What is the Donor process? Step 2: Once that is passed - we send the mom a packet including forms for her to fill out and get back to us. Step 3: We send the mom a lab slip for her blood work at one of the labs with whom we have a contract. We pay for the lab work. Mom's ARE NOT PAID for their milk. Step 4: The mom's healthcare provider and her baby's healthcare provider are contacted for their input on her becoming a donor. Facebook page: Mothers' Milk Bank of Mississippi.